The early works of Ribley! were mainly created under the name of Boebbel . Boebbel has published in various magazines a lot of word games, crosswords and cryptograms, often with a humorous bias. Very special were his boebbelograms , a sort of cryptograms with mainly selfmade neologisms. Boebbel has created a couple of funny yet very educational games, of which the 'European Art Game' is the best known. 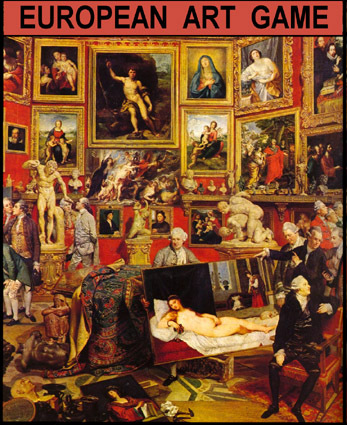 The purpose of the game is to build up a collection of various works of art, but the money that the players need has to be earned on a special job circuit or with additional tasks. Boebbel has created quiz shows and contests, but he focused on dexterity and sensory perceptions rather than on pure knowledge; he aimed at well-founded entertainment and collective fun rather than selective competition. The most famous of his contests was without doubt the ‘ Neanderthal Contest ‘ , in which the candidates needed to display neanderthal skills to win the contest rather than modern man intelligence. Boebbel has written scenarios and scripts for short films and videoclips , but none of them were filmed due to the lack of financial resources or sponsoring. They are kept in the ‘ Boebblywood Film Archives ‘ . Most memorable was the videoclip ‘ Cantata for Sadomasochistic Scream Quartet with Red-hot Irons, Bricks and Razor Blades ‘ . Boebbel also made a few photo documentaries, e.g. 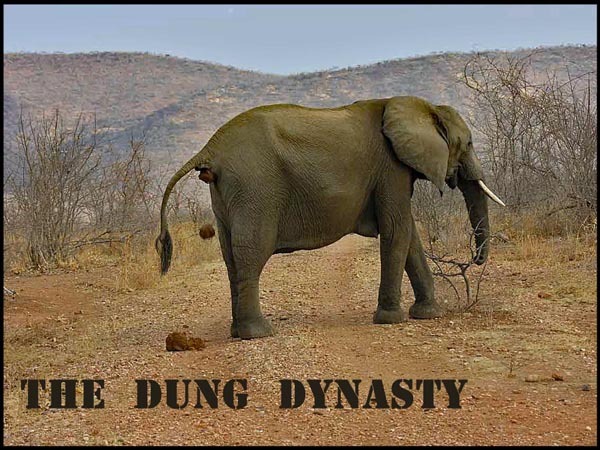 ‘ The Dung Dynasty ‘ . Boebbel though was best known for his LITERATURE and for his MUSIC.